Indoor cycling can help maintain fitness while recovering from running injuries. Running injuries can throw a wrench in training plans. At some point, most runners have to take a break from their sport due to ailments caused by running. Although running is an excellent form of fat-burning cardio, it's high-impact nature can be tough on the body. 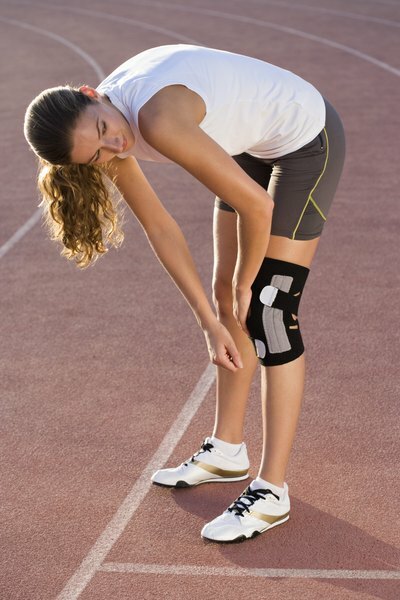 When injuries occur, they can cause both physical and emotional setbacks. If you injure yourself while running, indoor cycling can be a great alternative workout during your recovery. Cycling is an excellent complement to running because pedal strokes simulate the same motion as running. It's virtually impact-free, which allows for higher-intensity workouts without the wear and tear of running. Indoor cycling is a better recovery tool than riding outdoors because it doesn't require the constant stop and go of traffic; a spin bike lets distance runners practice the same type of uninterrupted, steady-state training they would perform while running. 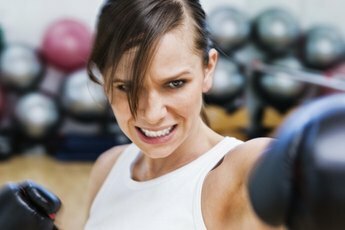 Some runners may find it hard to gauge their intensity on a spin bike. Generally, three to four miles of biking will provide the same fitness benefit as one mile of running. However, variables like speed, resistance and incline all affect the intensity of a workout. The best way to monitor your cycling workout is to wear a heart rate monitor. When you know your target heart rate during different types of workouts, it's easy to make sure you're achieving the intensity you need for a given workout. To complete a steady-state training ride in place of a long distance run, set the resistance on the spin bike to a point that simulates a flat road. Make sure there's slight resistance in the pedals at all times. Aim for a cadence between 80 to 110 rpm and hold that intensity through the duration of the ride. Your training ride should be as long or slightly longer than an equivalent distance run. Indoor cycling is a great way to maintain fitness during recovery from running injuries, but it's not ideal for everyone. Depending on the severity of your injury, you may have to temporarily stop all activity. When doing alternative training, always listen to your body. Be smart and stop if something starts to hurt. Working through the pain can end up making your injuries worse. 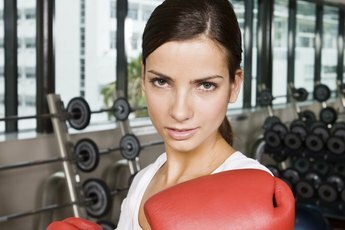 Talk to your doctor or fitness professional to decide which form of training is best. Is Running Better Than Training on the Elliptical?